Well, what do you know! Government conservation programs in Florida are now collaborating to create a one-stop-shop website for private landowners with the goal of improving private land stewardship! While the Private Landowner Network may not have been their sole inspiration, we’d like to preen a little bit and say imitation (even if unintentional) is the sincerest form of flattery. 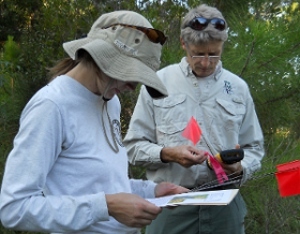 In 2011, the Flo rida Forest Service, Florida Fish and Wildlife Conservation Commission, USDA Natural Resources Conservation Service, and the University of Florida established a partnership at the prodding of a state Fish and Wildlife Commissioner who asked “How can state and federal agencies with overlapping programs work better together?” The answer was to create The Florida Land Steward Partnership. 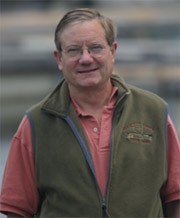 In 2012, they founded flsteward.org as a portal to the private lands stewardship information spread among many different agencies and nonprofits. Chris Demers is Forest Stewardship Coordinator at the University of Florida with a background in forestry who manages the site alongside Dr. Emma Willcox, a Wildlife Extension Faculty at the University of Florida. They are guided in their efforts by a committee of partner agency representatives who help provide the pages, contacts, and many resources that fit into the site’s categories of private land information. An entire section on “Working Your Land” is slated to be added in 2012 and will feature information on land based enterprises such as timber, ecotourism, and small farm enterprises. Chris’s goal for the year is to “have us well-linked to most of the organizations that deal with private lands in Florida. We also want to link to national groups like yours and the National Woodland Owners Association, the Forest Landowners Association, Florida Tree Farm, Forest Stewardship Council, etc.” Funding for their newsletter, the Florida Land Steward comes from a Forest Stewardship Program grant from the Florida Forest Service and a grant from the Florida Sustainable Forestry Initiative Implementation Committee. It is currently mailed to 4580 landowners and resource professionals and delivered via the web to another approximately 1,500 landowners and professionals, and the list of people receiving the newsletter is constantly expanding. The planning end of the Partnership is working toward a more collaborative management planning process for landowners. Partners are developing a management plan process which meets the needs of landowners primarily, but also satisfies the administrative and cost-share requirements of the Florida Forest Service’s Forest Stewardship Program, USDA Natural Resources Conservation Service and Florida Fish and Wildlife Conservation Commission. The Florida Land Steward program is not stopping there either. Chris realizes the difficulty of reaching private landowners simply by offering information through the web. He has ambitions of finding absentee landowners where they work by reaching out to professional societies - such as lawyer and medical groups - as well as more traditional landowning constituencies like hunting and fishing groups. Florida is embracing the new era of slimmed down government programs through creative collaboration. The Florida Land Steward Partnership is actively searching for partners and program information. Anyone who can help is encouraged to contact Chris or Emma at cdemers@ufl.edu or ewillcox@ufl.edu.